This page was retrieved from https://www.fcd-us.org/4844-2/. Joanna Dreby, Ph.D., is an Associate Professor in the Department of Sociology, University at Albany, SUNY. Her research primarily focuses on families, with specific expertise in research with Mexican migrants and with children. 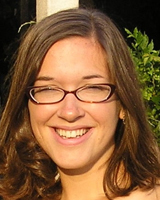 Her work includes a variety of qualitative methods, emphasizing ethnography, comparative research and in-depth interviews techniques. Her most recent book, Everyday Illegal: When policies undermine immigrant families (University of California 2015) explores the impacts of immigration enforcement policies on families. The book as well as her award-winning article “The Burden of Deportation on Children in Mexican Immigrant Families” (Journal of Marriage and Family 2012), draws from a comparative study of Mexican families living in two new destination communities in central New Jersey and northeast Ohio. 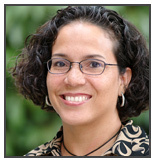 Lisseth Rojas-Flores, Ph.D., is an Associate Professor in the Department of Marriage and Family of the Graduate School of Psychology at Fuller Theological Seminary. Rojas-Flores studies children and family’s well-being with particular focus on how trauma and community violence impacts the child and family unit. With funding from the Foundation for Child Development Young Scholars Program, Dr. Rojas-Flores is examining the impact of immigration enforcement on Latino citizen – children’s psychological and academic well-being in the US. In an international context, she is conducting collaborative research looking at the impact of community violence and trauma on adolescents, parents, and teachers living in El Salvador. As a bilingual/bicultural clinical psychologist, she also provides clinical assessments to Central American unaccompanied minors. 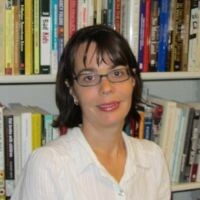 Kristin Turney, Ph.D., is an Associate Professor of Sociology at the University of California, Irvine. Her research investigates the complex, dynamic role of families in creating and exacerbating social inequalities, and much of her current research examines the consequences of criminal justice contact for family life. In this vein, she investigates the deleterious, beneficial, and inconsequential effects of parental incarceration on the well-being of children and families over time; considers heterogeneity in the effects of parental incarceration on inequality in family life; and evaluates the family, school and neighborhood mechanisms through which parental incarceration fosters resilience. 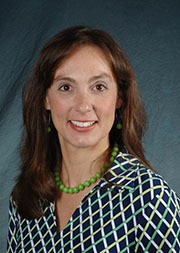 Krista M. Perreira, Ph.D. is a Professor of Social Medicine as well as a faculty fellow in the Carolina Population Center. Her research focuses on the relationships among family, migration, and social policy, with an emphasis on improving health equity and eliminating racial, gender, and socioeconomic disparities in health. In 2003, Dr. Perreira received a national Young Scholar award from the Foundation for Child Development for her work on the health of immigrant children.